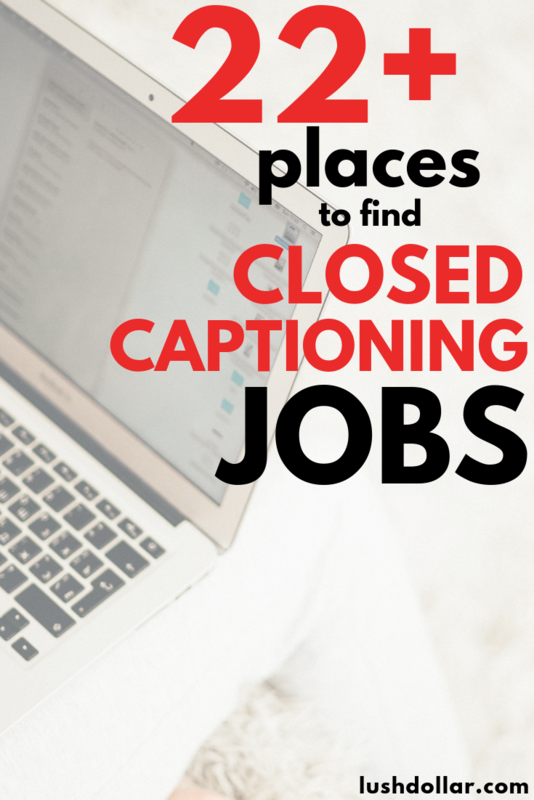 Closed captioning jobs are one of the many legitimate jobs that you can apply for if you want to work online. Now it probably rings a bell, right? Aside from the captions seen on your TV, other opportunities exist as well, such as transcribing a phone call in real-time to those hard of hearing, etc. If you like the idea of typing while listening to someone talk, much like transcription, it could be a job to consider, but do keep in mind it can be a lot harder than you think. In fact, a lot of the companies I’m about to list often want you to either have some sort of experience and/or education. They also ask that you have the appropriate captioning software, all of which I will talk about in this guide. I will get into that later. Regardless, there’s always time to learn, even if you don’t have the experience, so don’t be discouraged just yet! In today’s post, I wanted to talk about the many companies online that often post at-home closed captioning positions. And, next to each company, I will also try my best to include any requirements and/or anything you should know about before you consider applying. Before I even begin, I want to explain the two types of captioning jobs you often see on the job market — offline and real-time captioning. Offline captioning will work a lot like transcription, wherein you will be sent a file and will be asked to transcribe it in a certain amount of time. It can entirely be done offline, per se. There will be deadlines, however. For some, this can be much easier since you can rewind, pause and fast forward as you please. It’s much like transcription, but you will caption a video most of the time rather than the audio file. This job will pay much less than real-time captioning. As for real-time captioning, as the name implies, will have to be done in real-time. This means you have to type as you hear the words, sometimes using specialized equipment aside from a keyboard. There’s no pausing or rewinding, meaning you have to keep going, paying very close attention. This is the main reason a lot of the companies want you to have experience if you consider this type of position. 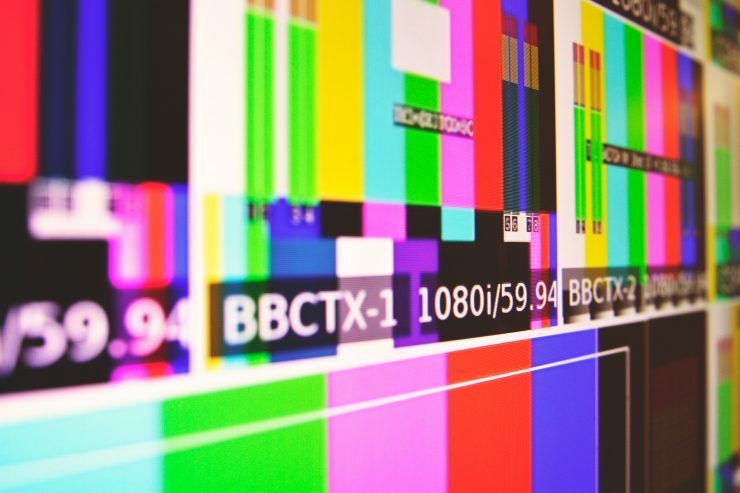 If you’re interested in real-time captioning, do keep in mind that it is much different than an offline captioning job and experience and some sort of education is required. To learn more about real-time captioning, I encourage you at least check out this guide because this topic in itself deserves a whole another post. Also, be sure to check out the National Court Reporting Association website (NCRA) if you want to learn more about the training and certification necessary to succeed in this field. To become a closed captioner, it really depends on which position you’re looking to apply for. If you want to apply as an offline captioner, then most companies will just want you to have a year or so of experience. Some may just ask that you take a simple test before applying to test your skills, so experience may not be necessary at all. Take Rev.com, for example. They only want you to pass a screening test before they hire you. Like the transcription companies I talked about in the past, it’s really going to depend on who you apply with, so just make sure you read the job description to see if you’re, indeed, a good fit. Now, if you want to become a real-time captioner, a position that often pays much more than an offline captioner, then you’re going to need much more experience as I already stated. Again, all companies vary, so make sure you at least read the description to know what they are expecting from you if you were to apply. And, lastly, you’re probably wondering what they heck you can make. The salary greatly depends on the type of job you plan on applying for as real-time jobs often pay much more than an offline job. According to the Bureau of Labor Statistics, the average salary for a full-time real-time captioner, as of 2017, was $55,120 a year, whereas freelancers could earn more depending on their experience. If you wanted an offline job as a freelancer, then you should expect to make up to $0.75 per audio minute as a beginner. Again, it’s dependent upon where you work. In the end, it really depends on a few things, such as your experience, the company you apply for and how much you work. NOTE: These are some of the most popular companies almost always hiring, but there are thousands more that often hire on occasion. To find smaller companies, I highly recommend FlexJobs, a job search bank that only focuses on work-at-home jobs. All jobs are screened and 100% legit. No scams! According to the official job posting, Aberdeen often hires freelance real-time captioners for up to $75 per hour. Applicants must type at least 180 words per minute, and yes, that is not a typo. 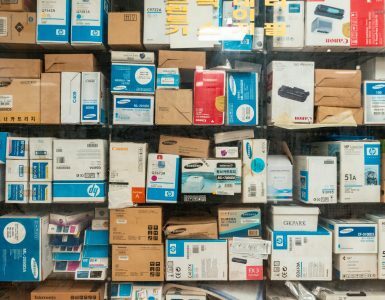 While it does seem impossible, do keep in mind that many real-time captioners use different setups than the traditional computer. If you do qualify, the company will contact you to schedule a mandatory real-time captioning test by tailing into their in-house encoder. Upon passing with 98% accuracy, you will then be contacted to explore employment options. 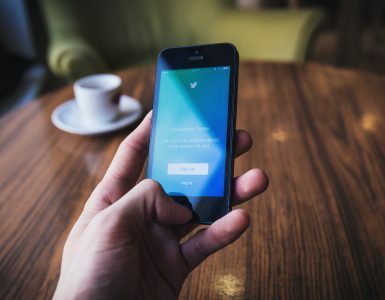 Alorica helps well-known companies with a range of jobs, from helping companies with customer service to social media. And, while the company has a lot of call center positions, they often post captioner jobs as well, a position responsible for helping the deaf and hard of hearing re-voice telephone conversations. Be sure to take a look at the job opportunities listed below, but do keep in mind that some of these captioning jobs are not at-home jobs. Just make sure you read the job description closely. I talk about mTurk quiet a bit, and while this option shouldn’t be viewed as a full-time job, it could be one to consider if you want to work at your own pace. Now, if you’re unfamiliar with mTurk, it’s basically a platform where companies can post little tasks, ranging anywhere from finding an email address to describing a picture. Most of these jobs take seconds to do and can be a nice way to earn a few bucks a day or even more. The tasks don’t pay much, often a few cents, but they add up over the hour. Occasionally, you can find companies that post short video snippets that they need help captioning, and as mentioned, it’s up to you if you want to do these projects or not. In some cases, you may need to qualify for the job, but everything you need to know will be right there in the description. I recommend you at least check out these eBooks to see how the system work, but in the meantime, at least create an account (it’s free) and start browsing the jobs to see what’s out there. ASC Services offers captioning-like jobs, even though it sounds more like a transcription position. If you like the idea of transcribing political news-like material in a fast-paced environment, then it may be one to consider. According to the job description when I took a look, you would be responsible for transcribing news briefings, newsmaker interviews and congressional hearings, to name a few. Applicants must have excellent grammar knowledge of current events, type at least 70 WPM and be available from 10 a.m. to 9 p.m. Maryland time. For up-to-date job postings and more information, refer to the company’s official career page linked below. Caption Max is a company that often pops up on closed captioning job lists, and from the looks of it, they do hire from home, but they have in-house positions as well. All at-home positions appear to be non-real-time positions, meaning you can caption kind of at your own pace, returning the work by the due date and time. According to the freelance job posting, captioners are paid $2.50 per program minute to as much as $3.50 per program minute at night. Applicants must have captioning experience, a high-level command of the English language, a computer with the appropriate software and a high-speed internet connection. Be sure to check out the live listings below to see if the company is hiring right now. The Caption Media Group often posts its closed captioning jobs via Indeed, but you may be able to find them posted on the official website as well. This isn’t always the case, however. The company focuses on all sorts of captioning jobs, from films to corporate materials. If interested, the company does ask that you have at least two years of experience. CaptioningStar has been in business since 2006, offering closed captions, broadcast captions, live captions as well as open captions. And, according to the company’s career page, they are always looking for experienced real-time captioners who are currently looking for a job. If interested, follow the link below, fill out the very short form and wait for the company to contact you if interested. The Communication Service for the Deaf was designed to help provide communication and access points for deaf people. Most of the jobs posted on the CSD’s website are in-house, but I did read that they offer virtual positions on occasions. The captioning assistant, if it’s available, is responsible for listening to the speaker on the phone and repeating what they are saying into voice recognition software. Pretty much a marketplace that helps you find a variety of work, including captioning jobs, you get to work as much or as little as you want. To start, apply, pass the screening test, and if approved, you can log in as you please and only select the tasks that make sense to you. No experience is required to start. This position does require experience and you must have access as well as knowledge to your own subtitle/captioning software. You will also be asked to sign an NDA before starting. If you feel you have the experience, the company does encourage you to apply, but if doing so, be prepared to submit samples of your work to prove your experience. Dotsub is a growing web-based platform said to eliminate the barriers to global communications. If you’re looking for freelance captioning work online, they seem to always have positions opened as long as you meet the initial requirements. While I couldn’t find much information on the careers page in regards to the position and these so-called requirements, they do ask that you create a free account and register. From there, they will contact you depending on the availability and demand for the upcoming projects. GoTranscript is yet another online company always seeming to hire transcriptionists and even captioners. If you want truly want to work at your own pace and pick and choose the jobs that make sense for you, then it’s one to consider. The company says that they pay up to $0.60 per audio minute, with the average captioner earning about $150~ a month. No experience is necessary, but if you’re interested in applying, they do ask that you transcribe a small 10-minute sample to test your skills. Much like mTurk, microWorkers will work in the same way, wherein you will have to find the active captioning jobs. Register as a worker, search the job board, and if you do find a captioning job in which you qualify for, start it and get paid. The National Captioning Institute often has remote job openings for court reporters and even voice writers who want to work from home. But, as you guessed it, you do need to have at least three years of experience if you don’t have an undergrad degree or formal training in court reporting. If you’re interested in applying, jobs aren’t always posted, but as with all of these postings, I encourage you to follow the link below to see which positions are open as of today. I have written about Rev.com before, particularly in my 100+ transcriptionist jobs and non-phone job posts, but out of all these options, Rev.com may be your best option if you have little or even no experience. To apply, Rev will first want you to apply, followed by taking a small captioning test. The entire application process should take less than an hour to complete. If you pass, then you get to log in and choose any project that you want to work on, meaning you can work whenever you want. Yes, no schedules. According to Rev.com, they pay anywhere from $0.45 to $0.75 per video minute, with top earners earning more than $1,000 a month. Vanan Captioning offers accurate captioning services powered by native experts, providing closed captioning, opening captioning, broadcast captioning and so much more. To be considered for a position, the company asks that you fill out an online employment form, all of which you can find the link below. Glancing at it, it appears they want to know your targeted rate per word, your experience and as well as your availability. It shouldn’t take long to fill out, maybe 10 minutes max. If they like what they see, you will then hear back from them with more information. Vitac could quite possibly be one of the most well known closed captioning positions available, and while most of these jobs are in-house, the company does offer remote jobs on occasions. From my research, the unique thing about Vitac is that you won’t be considered a contractor; rather, you will be hired on as an actual employee. This can be looked at either as a plus or a minus to some. Refer to the link below for up-to-date captioning positions currently available. I almost always go to Indeed if I want to research jobs or even apply for one myself. If you’re not familiar with this massive job search engine, Indeed combs millions of corporate websites and posts these listings directly in their search engine. They also let companies post on the website as well. As I mentioned earlier in my notes, there are so many smaller companies that rarely hire, so you may have a great chance at finding an at-home captioning gig if you have the necessary experience. Just be sure to use the appropriate keywords, such as “at home closed captioning” or “remote closed captioning” to see what comes up in your area. If you don’t mind hustling, consider starting your own job posting on Fiverr, offering your captioning services. With millions of potential customers, it shouldn’t be too hard to find at least one or two customers in the beginning. To learn more about Fiverr and how to succeed amongst the competition, I do recommend a few of these highly-rated e-books that teach you how to succeed on the platform. You may not make much in the beginning, but with the right marketing efforts and hard work ethic, you could have more repeat clients than you know what to do with. Similar to Fiverr, Upwork will require that you bid on projects, but at first glance, there are quite a few captioning jobs you could consider if you feel you have the experience to do so. It may take a while to start seeing working come in, but if you can show up on time and prove yourself, you could soon have more work than you can handle. Upwork can be a tricky place to start, so for that reason, I do recommend you check out some of these great Udemy courses that teach you how to dominate on the platform. If you like the idea of typing while listening to someone talk, but you feel you don’t meet the requirements with a lot of the companies I posted, then I would recommend you at least check out these transcriptionist jobs instead. These jobs tend to be a “work at your own” pace and won’t require you to type 200+ WPM while using special software. Not a lot of experience is needed, either. However, if you feel you have what it takes to become a captioner, I did find that the pay seems to be much more in comparison to other typing gigs, but you’re going to need experience as well as an education most of the time before a company even considers you. I can’t stress this enough. For that reason, I recommend you check out the National Court Report Association as this is a great stepping stone if you want to step into this industry and learn more about what it takes to turn it into a lucrative career. Just let it be known that it is possible to make money while working from home, and yes, you can make quite a bit. For now, this completes the list. As always, if I’m missing any jobs and/or you want to comment on any of them, be sure to let me know all about it in the comments below! I always love hearing from you. 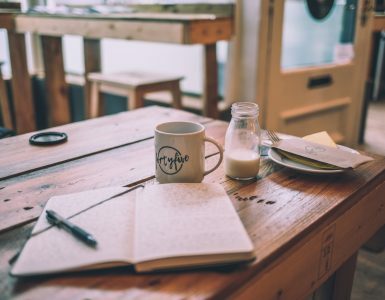 In the meantime, start checking out these job description pages and even consider FlexJobs if you want to search almost all positions open right now that only focus on remote workers.